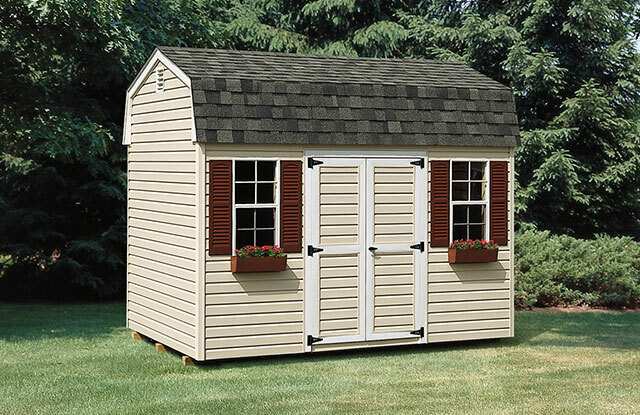 Highwall frames, like what’s included with our Regular Highwall Series, are a foot taller than what is on regular A-frame sheds. 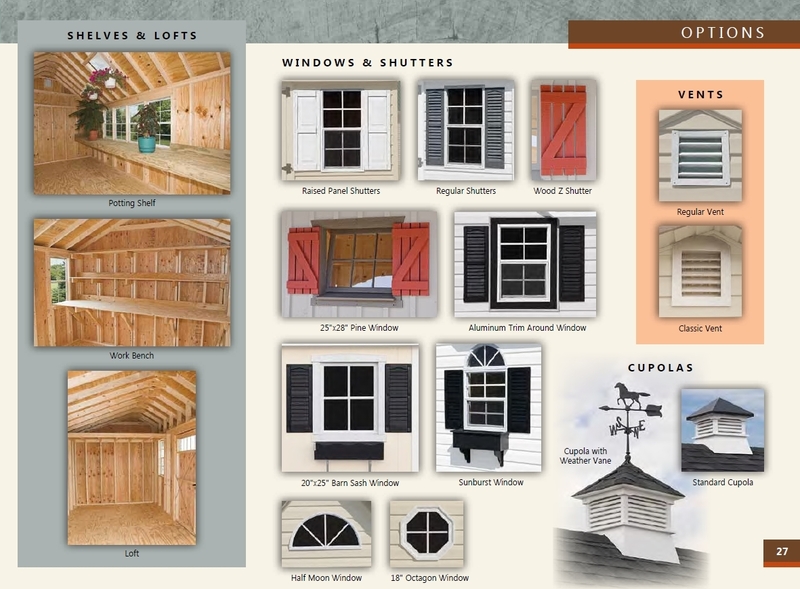 Amish-built in your preferred color with window and door layouts as per your specifications, these sheds also have higher side walls. 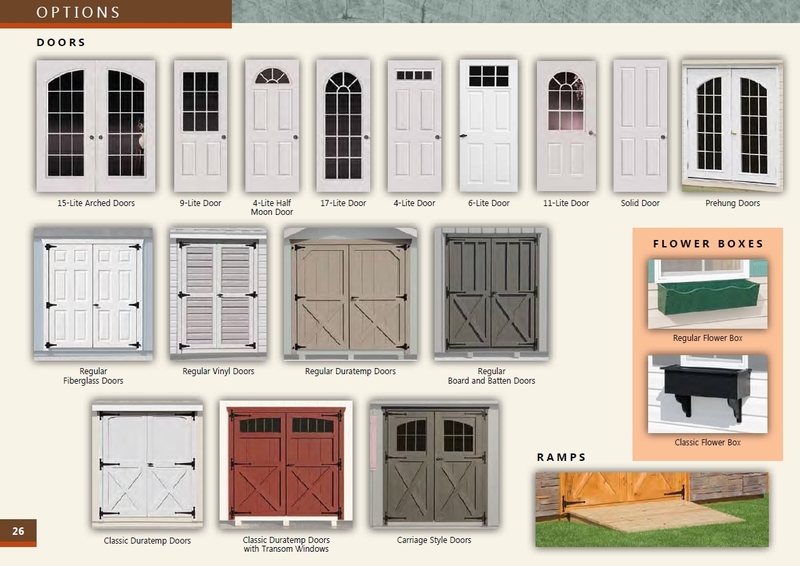 Options include: Duratemp or vinyl siding, flower boxes, ramps, and gable peaks. 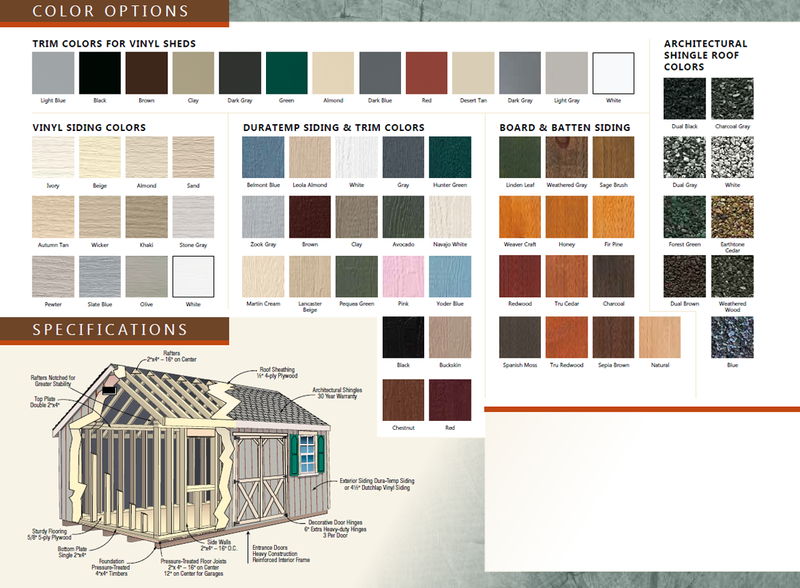 A workbench can be added if you need more storage space.